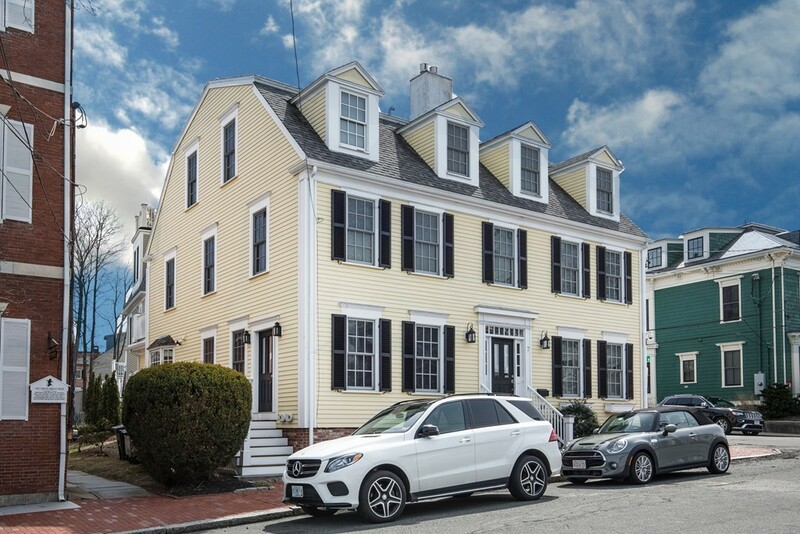 Ideal Location in the heart of dntwn Newburyport. A stone's throw to the Boardwalk, Cashman Park, the Rail Trail and local hot spots! This exquisite New England style Townhome, built by premier builder Henry Becker, a true classic. Once a Newburyport staple, "Leightons Bakery," is now a stunning 3-story Townhome w/ the finest attention to custom detail. Beautifully appointed S/S eat-in kit, centered by a large bay-window. Notice the new light fixtures, fresh coat of paint throughout, and gleaming hardwood floors, crown moldings. Fall in love with the frpl'd LR w/ outdoor entrance that leads to a brand new brick patio for grilling. 2nd-Floor offers 2 en-suite bdrms(1 w private deck) & laundry area. 3rd-Floor has a private Master suite w/ bath. Ship's ladder leads to a "Widow's Walk" roof deck. Perfect to relax & watch the picturesque harbor scene or fireworks during "Yankee Home-Coming". Finished LL w/ exposed stone wall is a super spot for a home office or gym. Turn-key and enjoy!